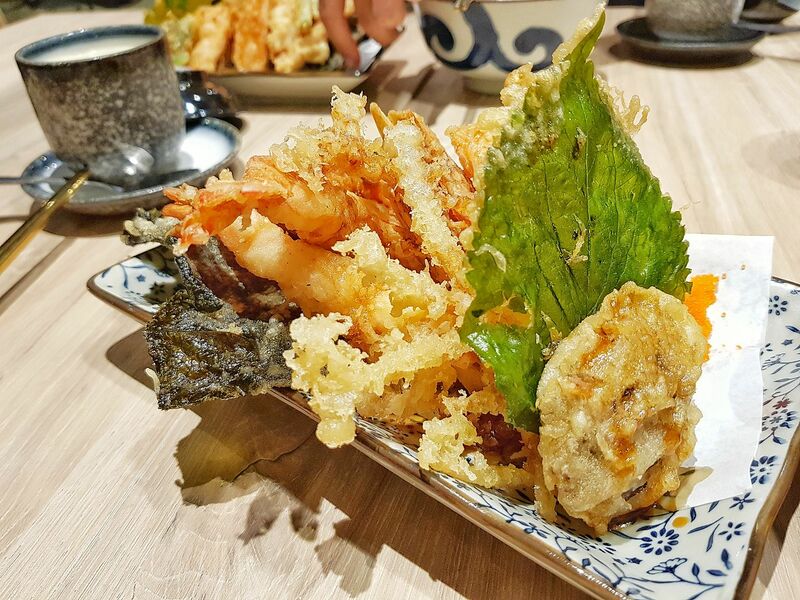 Kogane Yama is the latest kid on the block to join the Ten-don craze in Singapore. Japanese for “golden mountain”, that is the image the folks behind Chir Chir Fusion Chicken and Masizzim want to evoke in you when you stare at the pieces of golden brown tempura piled up high on a mound of sticky, warm Japanese rice (if you order the set with udon or soba, then sorry you might have to imagine a golden field instead, since your tempura comes served on a plate!). 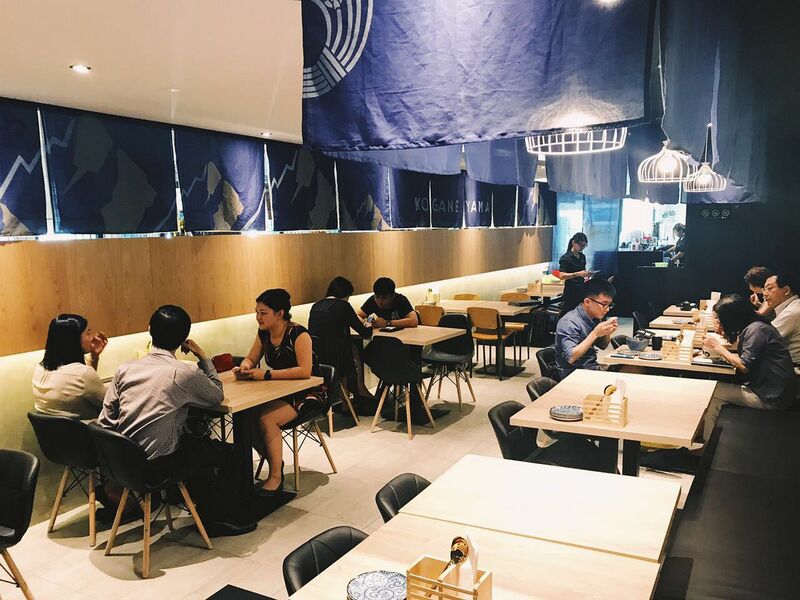 Located on Level 2 of Bugis Junction, Kogane Yama is a cosy restaurant that seats around 40. 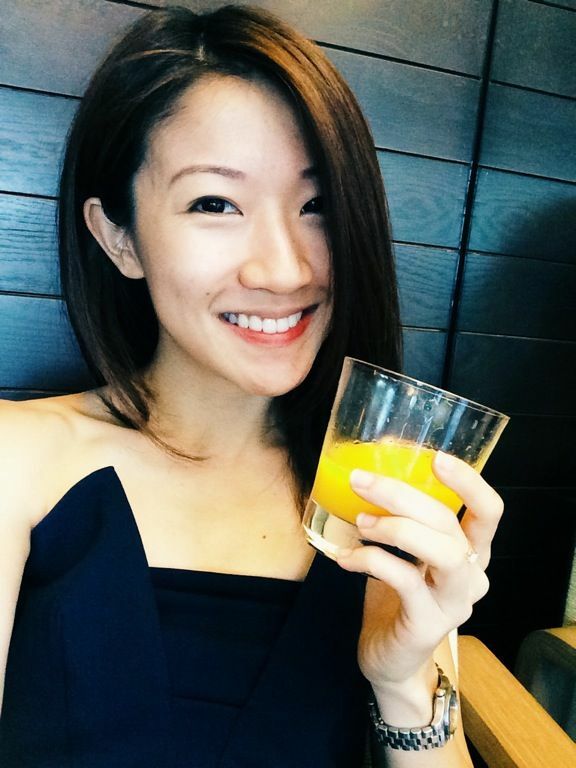 As with any specialty restaurants, you do not get a lot of choices as the menu is kept very lean. The decision making process involves 4 steps, from choosing your tempura, to choosing your carbs, then choosing the spiciness of your sauce and finally whether to make it a set. Simple! If you don’t eat tempura, or do not espouse deep fried food, then you might want to go somewhere else instead because there really isn’t much else of an option for you. 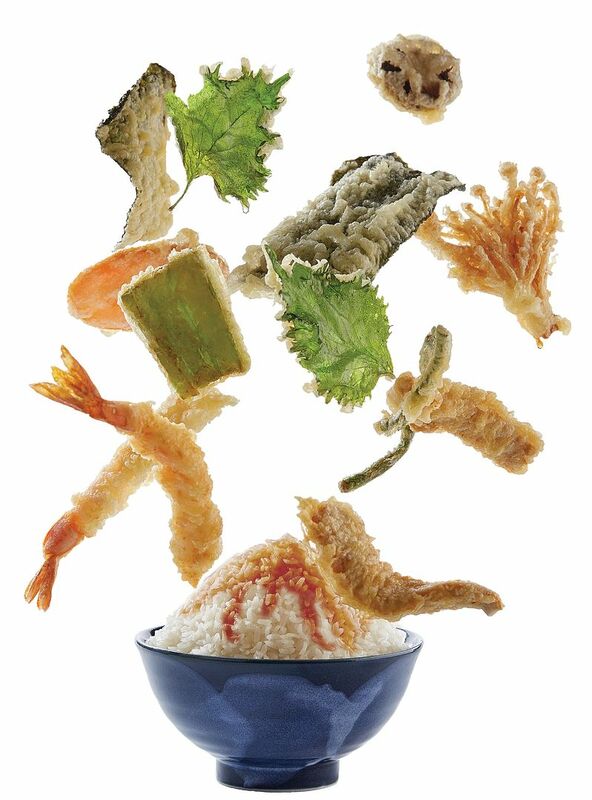 Kogane Yama offers a choice of 4 types of tempura bowls (or plates) - vegetable, chicken, prawn or combination. If greedy or indecisive are qualities ascribed to you, then the choice is simple- the combination bowl offers two prawns, a piece of fried chicken (that reminded me a lot of Long John Silver, not a bad thing since I love the batter but that of course is personal!) and an assortment of tempura vegetables. As the items are fried-to-order, you should expect a bit of waiting time; after all this is no fast food restaurant! Most of the items served are pretty standard; the chicken I had was a tad dry although other diners commented that theirs were ok. The prawns were fairly sizeable and fresh but not mind blowing. But don’t get me wrong, it is definitely delicious for the price. The standout items for me were the tempura seaweed (essentially deep fried Taokaenoi) which was crispy and not too salty, as well as the deep fried prawn heads that were served detached from the bodies! All that crustacean brain goodness! Less commonly seen in Ten-don restaurants is the tempura Shisho leaf, an acquired taste for many because of its minty, herby taste. The tempura is drizzled all over with your choice of sauce- the Level 2 (out of 3) spicy level was the favourite for the night. It was a good mix of sweet and spicy without being overbearing. Have your tempura served with rice, or a bowl of udon or soba. Regardless of your choice of noodles, they are served with the same dashi broth which was again decent, but unmemorable. While chawanmushi is often an “afterthought” for a lot of restaurants, the steamed egg here is actually above expectations, especially for its price. 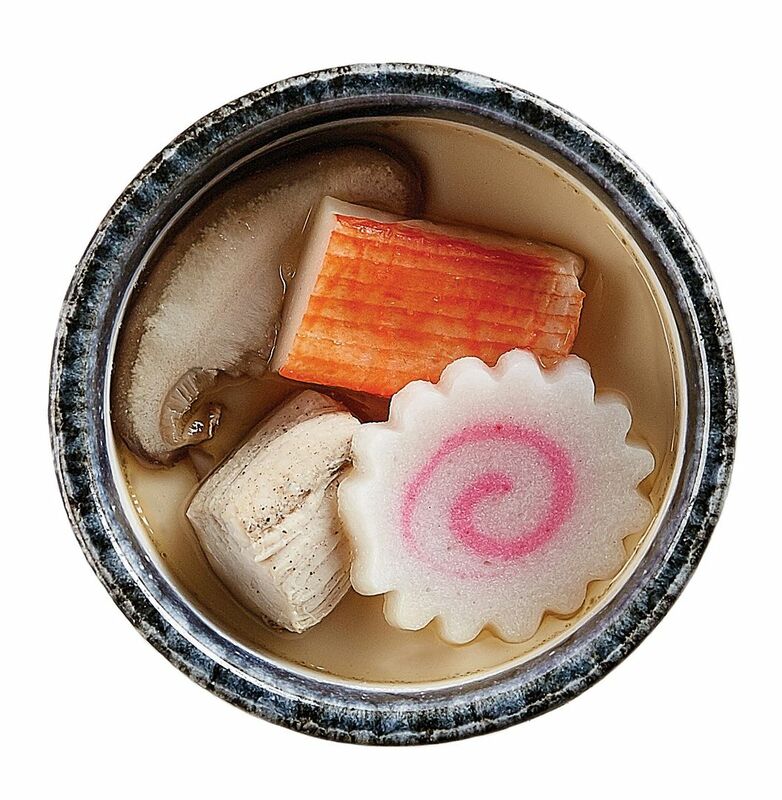 Smooth, custardy and well seasoned, it is a no brainer to make your meal a set for just $2 (with an additional bowl of miso soup to boot!). 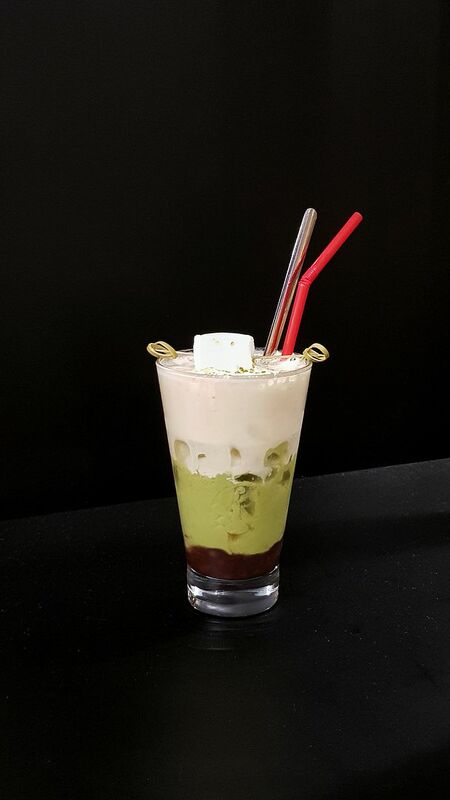 Wash down the grease with a cup of calpis, plum or yuzu soda, or enjoy a glass of green tea latte with azuki. There’s no dessert on the menu, so finish your meal and pay up so the hungry diners queuing outside can have their turn (and also stop staring at you eating if you are unlucky enough to get the outward facing bar counter seats). Overall, Kogane Yama is a more than competent addition to the fray as far as ten-don restaurants go. 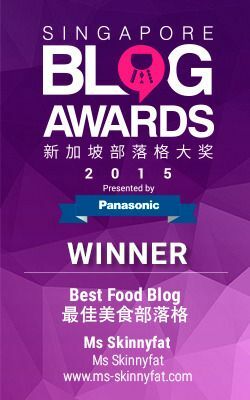 The advantage it has over its competitors would be its affordability, especially for the quality of the food. I wouldn’t be surprised to see a few more branches coming up in the near future.